The Ginkgo tree is the only living representative of the order Ginkgoales, a group of gymnosperms composed of the family Ginkgoaceae consisting of about 19 members with its earliest leaf fossils dating back to 270 million years ago in the Permian period, so in the era of the dinosaurs (Jurassic 213 million years ago) it already existed. 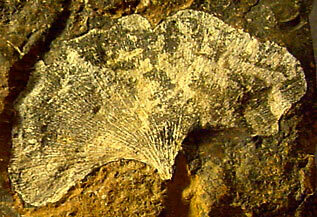 Fossil leaves and vegetative organs show that at that time there were several species. During the Middle Jurassic there was a great increase in species with a maximum diversity during the Cretaceous period (144 million years ago) in areas now known as Asia, Europe and North America. It was common and widespread for a long time. 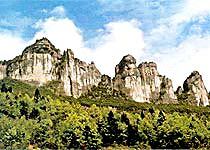 Due to geological cataclysms only three (or four) species were left (Ginkgo adiantoides, Ginkgo jiayinensis and Ginkgo gardneri) in the Tertiary (65 million years ago). The extinction of the dinosaurs as potential seed dispersers of the large seeds may also have influenced this decline, which is in line with the fossil records. Read more about seed dispersers on my Propagation-page. About 7 million years ago the Ginkgo disappeared from the fossil record of North America. It was gone from Europe by about 2.5 million years ago. 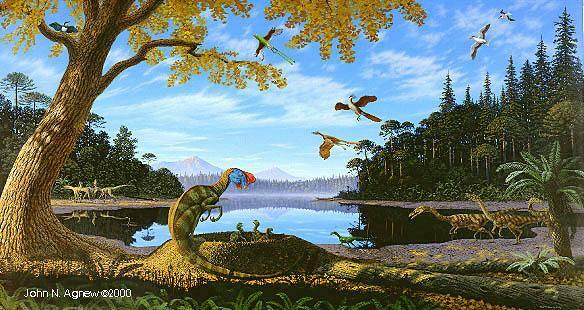 Picture left: Ginkgo tree with ferns, conifers, cycads, therapod dinosaurs and several extinct birds from various periods within the Mesozoic era ( mural © John Agnew). 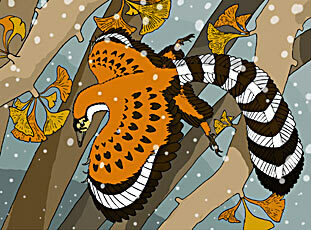 Picture right: Archaeopteryx in flight over a Ginkgo tree ( picture © Nick Longrich). The fossil findings show that the Ginkgo prevailed under moist and moderately warm climates since the Mesozoic era. (with fossil picture gallery and maps): Fossils-page. Ginkgo-seeds were brought to Europe from Japan by Kaempfer in the early 1700's and in America later that century. Most of the earlier trees raised in Europe appear to have been males. The first recorded female tree was found near Geneva in 1814 of which scions were grafted on a male tree in the Botanic garden of Montpellier where the first perfect seed has grown. Now the tree grows in many countries all over the world as an ornamental tree. Read further on my Where-page about them. was a German physician and botanist who was in Japan from 1690 till 1692 sent on a mission by the Dutch East-India Company. He discovered Ginkgo trees there (1691) and described the Ginkgo in his work "Amoenitatum exoticarum" (1712). Later he brought Ginkgo-seeds to Holland. In the Botanical Garden in Utrecht one of the first Ginkgo trees was planted, where it can still be seen today - photos/video here (details on my Where-page). Click here for more details about Kaempfer and his text about the Ginkgo. In 1754 it was cultivated in the nursery of James Gordon of London and in Kew Botanical Gardens (1762). From there and from Japan it spread to other European countries, later in 1784 also to the USA to William Hamilton's garden near Philadelphia (read below). By the late 1800s/early 1900s it was a popular streettree on the east coast in urban areas. 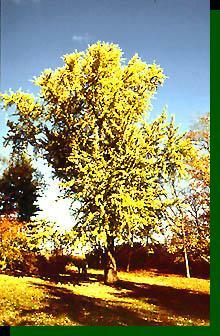 The Chinese Ginkgo biloba survived essentially unchanged. 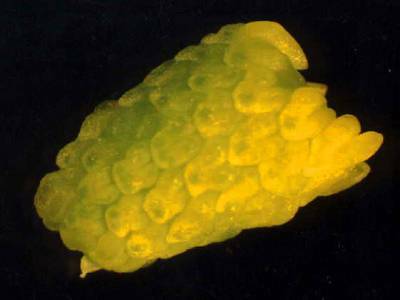 From the Jurassic till now there was a reduction of individual ovule-stalks and a decrease in the number of ovules. The size of the ovules increased. 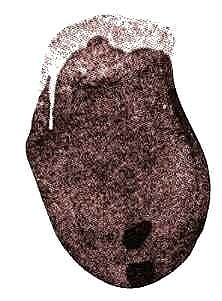 The ovulate organs may find their origin in the Jurassic Ginkgo yimaensis (170 million years ago). Fossilized leaves and reproductive organs from the Lower Cretaceous period (new species found in the 121 million years old Yixian Formation in N.E. China) show that their morphology has changed little until now. 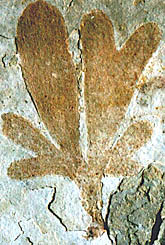 Ginkgo adiantoides from the Tertiary period (56 million years ago) is remarkably similar to the modern Ginkgo biloba. Read more on my Fossils-page. 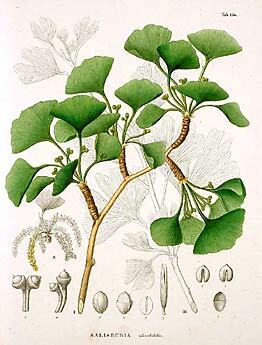 The term "living fossil" used by Darwin in his 'Origin of Species' of 1859 definitely fits the Ginkgo. 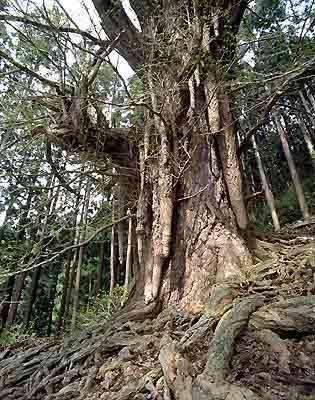 It may be the oldest living seed plant and is therefore by some seen as one of the wonders of the world. Thus the sole living member of a once great and dominant race of the vegetation of the world, the Ginkgo is, among all the tens of thousands of plant species existing today, a most precious and tenuous link between the present and the remote past. Individual trees may live longer than 3,000 years. Ginkgo, with its spreading rigidly ramified branches and curiously shaped leaves is a tree of great distinction and dignity in appearance. Human history appears insignificant when compared with the genealogy of this tree which now stands in the gardens and along city streets created by man who appeared millions of years later. As the paleobotanist, Sir Albert Seward (1938) remarks: "It appeals to the historic soul: we see it as an emblem of changelessness, a heritage from worlds too remote for our human intelligence to grasp, a tree which has in its keeping the secrets of the immeasureable past." (Li HL 1956). Questions about the extent of Ginkgo biloba’s native range in China have been the subject of debate among botanists for well over a hundred years. 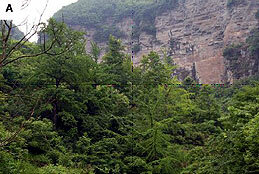 DNA analyses (Literature-page) have demonstrated that isolated Ginkgo populations in southwestern China, especially around the southern slopes of Jinfo Mountain (Jinfo Shan) of Nanchuan County at the boundary of Chongqing Municipality and Guizhou Province (see area map; 28°53'N; 107°27'E) possess a significantly higher degree of genetic diversity than populations in other parts of the country. Southwest China was less affected by cold air from Siberia during the glaciations (see map). Ecological work in this area, as well as in adjacent parts of Guizhou Province, has identified numerous small populations, for instance in Wuchuan County and Tuole (Panxian), that can be considered to be either wild or remnants of wild plants, despite their proximity to small villages practising subsistence agriculture. 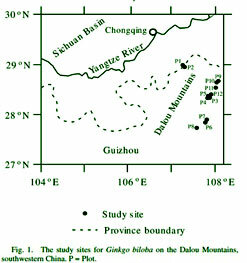 Evidence for the persistance of wild Ginkgo biloba (Ginkgoaceae) populations in the valley and lower mountain slopes of the Dalou mountains in southwestern China was published in 2012 (Tang et al.). More info and photos here. The Ginkgos on West Tianmu Mountain, which were previously considered to be wild by many researchers, may, instead, have been introduced by Buddhist monks. However, more research is needed. In the oldest Chinese literature the Ginkgo is not mentioned, but in the 11th century (Sung dynasty) it appeared in the literature as a plant native to eastern China. 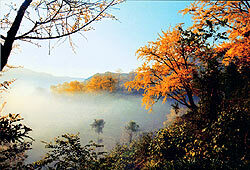 In a poem by Ou-Yang Xiu is written: "Ginkgo grows south of the Yangtze River, the name coincides with its substance. Since the nuts have been used in tribute, then it is considered precious in the Capital. " In a notebook of the Sung dynasty (Shi Hua Chung Kuei) is said: "In the capital (Kaifeng) there was originally no Ya Chio (Ginkgo). Since Prince Li Wen-ho (1st half 11th century) came from the south and transplanted it to his residence, it became famous. From then it gradually propagates and multiplies, and fruits from the south are no longer considered precious." 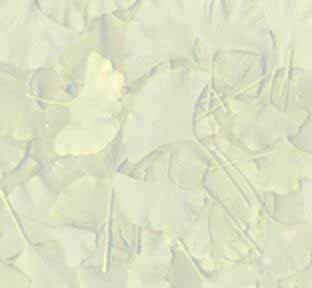 From that time on the Ginkgo is depicted on Chinese paintings and appeared in poetry. Ou-Yang: "The first 3-4 seeds this Ginkgo produced were presented to the emperor in a golden bowl. After a few years the trees bear more fruits. The owner presents the nuts like giving pearls." Many famous poets praised its 'fruits'and sometimes also its leaves. Especially the poets Ou-Yang Xiu and Mei Yao-ch'en, who had both official positions in the capital Kaifeng, exchanged verses about the Ginkgo when Mei moved to the south near the Yangtze River. Mei sent seeds from a tree in his own backyard to Ou-Yang Xiu. The seed is often compared with the walnut by Sung-poets which was a popular fruit of the north. The Ginkgo might have been known to the northern Chinese before the Sung dynasty but it was very rare and not in cultivation. According to the Contemporary Ginkgo Encyclopedia of China the edible nuts were a food source since at least the Han dynasty (206BC-220AD). The seeds were not mentioned in herbals until the Yuan Dynasty (1280-1368) in Li Tung-wan's 'Edible Herbal' (Shih Wu Pen Ts'ao) and the 1350 work, Wu-Jui's 'Herbal for Daily Usage' Jih Jung Pen Ts'ao. In Pen Tsao Kang Mu (1578) is mentioned that the nuts are consumed at weddings (the shell being dyed red), are much used at feasts and are a fair substitute for lotus seeds ( Stuart/Porter Smith). After the Sung and Yuan dynasties Ginkgo seems to be widely cultivated all over China. There seems to be no association with religious institutions; it has always been the custom of the Buddhist as well as the Taoist priests to preserve venerable species on temple grounds. 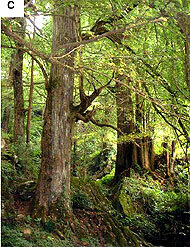 Very old trees are often revered and preserved because of age and not kind. 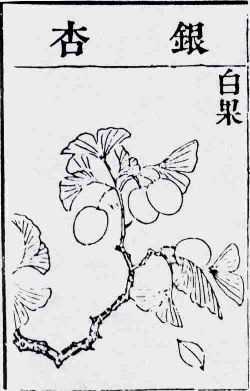 The Ginkgo is also mentioned in the botanical work Chih Wu Ming Shih Tu Kao of 1848. The famous writer and historian Guo Moruo published an essay in which he mentions the Ginkgo a wonder and the victory of humanity over nature. 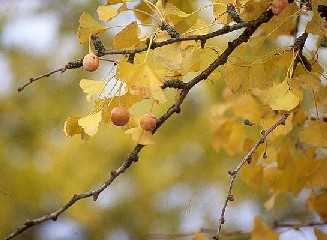 The Ginkgo nuts are mentioned in Japanese textbooks from 1492 and later for use at tea ceremonies as sweets and dessert. In the Edo-period (1600-1867) common people began to eat them as vegetable and ingredients for pickles. In this Edo-period Ginkgo trees were connected to shape-shifters and spirits and not planted in gardens (possible influence of the assassination of Minamoto no Sanetomo under a Ginkgo tree near the temple of Tsurugoaka in 1219). In the 18th century the nuts (called ginnan) became used as a side dish when drinking sake. Today they are used (grilled or boiled) in chawan-mushi (a pot-steamed egg dish) or in nabe-ryori (Japanese fondue). The grilled nuts are still often eaten in Japan when drinking sake. 1856 - 1925 Sakugoro Hirase observed swimming sperm (motile spermatozoids) for the first time in the seeds of a female Ginkgo tree growing in the Botanical Garden of the University of Tokyo in Japan on September 9, 1896. Hirase was a drawing technician and was employed in 1888 at the College of Science, Imperial University (now University of Tokyo) to draw plant specimens. He became a research assistant and learned himself the technique of botanical studies and since 1893 began to observe the period of fertilization and embryo formation in Ginkgo biloba. 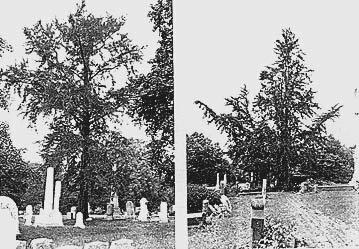 Below are pictures of the tree round 1900 and the same tree nowadays. His revolutionary discovery of the swimming sperm in a seed plant was first published in Japanese in the Botanical Magazine Tokyo of October 1896 and came to be known throughout the world. Hirase proved that the Ginkgo had an intermediate position between ferns and conifers and therefore Professor M. Engler established a new family Ginkgoacea (1897), order Ginkgoales (1898). Shortly after Hirase's discovery Ikeno discovered such sperm in Cycas revoluta. Hirase and Ikeno were awarded the Imperial Prize of the Japan Academy in 1912. In his time his scientific efforts were very much appreciated by his collegues and the Botanical Society of Japan. Ikeno, who was an assistant professor, later became Professor of Botany at Tokyo Imperial University and wrote an obituary when Hirase died in 1925. Their brilliant researches stimulated Japanese botanists so vigorously that they were able to make valuable contributions in the 20th century. The seeds (baigo) are most used in Traditional Chinese Medicine, the leaves in western medicine. In Japan the seeds are called ginnan. The Japanese way of using Ginkgo as a medicine originates from the Chinese tradition. The seeds' medicinal use is mentioned in the 'Great Herbal' Pen Tsao Kang Mu compiled by Li Shih-chen (1578) which in still in use in TCM. Dr. C.A. Stuart and Dr. F. Porter Smith translated and researched this herbal and used it as a working base for their publication of 'Chinese Medicinal Herbs' (1911). In their work they write: "The seeds are supposed to benefit asthma, coughs, irritability of the bladder, blenorrhoa and uterine fluxes. of Ginkgo with seeds (1578) Eaten raw they destroy cancer and are counter-vinous. Cooked they are said to be peptic and anthelmintic, and are similarly used by the Japanese to promote digestion. In some cases they appear to cause peculiar symptoms of intoxication." They also mention the use of the wood for seals used as charms by quacks in the treatment of disease. Kaempfer mentions the seeds as an aid for digestion and bladder. Thunberg writes in Flora Japonica (1784) that the seeds are eaten raw or roasted in Japan and in 1819 Franz von Jaquin notes in 'Ueber den Ginkgo' the use as a digestive aid. The earliest record of the use of the leaves as a medicine is said to be mentioned in the Chinese Materia Medica Shen Nung Pen Tsao Ching (which should originate from about 2800 BC or from the Han dynasty [206BC-220AD]) as an aid for blood circulation and the lungs. This record cannot be confirmed however because the original of this work has never been found. Dian Nan Ben Cao (Lan Mao) (1436) mentions the use of the leaves for skintreatment, head sores and freckles. They are also used for chilblains and as a wound plaster. The internal use is first mentioned in the Ben Cao Pin Hui Jing Yao (1505) by Liu Wen-Tai as used against diarrhea. In 1932 the Japanese Furukawa isolated the ginkgolides for the first time, which were further investigated for their chemical structure by Nakanishi in 1966. From 'Flora Japonica' by Siebold & Zuccarini, Leiden 1835/42. In the late 1950s western medicine began to study its medicinal uses. Dr. Willmar Schwabe Company produced the first extract from the leaves in 1965 (Egb 761). Dr. Elias J. Corey of Harvard University received the Nobel prize for chemistry in 1990 for among others the total synthesis of Ginkgolide B in 1988. Nowadays Ginkgo is prescribed in Europe and used by many people in the U.S., Canada and other countries for its medicinal abilities. After the 70s palaeontologists, botanists, biochemists, cultural and theological historians began to investigate the Ginkgo more intensively too. In traditional Indu medicine it is a constituent of an elixer called "Soma". For the usage of the seeds and the leaves read my Usage-page. At the end of World War II on August 6th 1945 an atomic bomb was dropped on Hiroshima by the Americans. The plants and trees in the area around the epicentre were examined in September 1945. 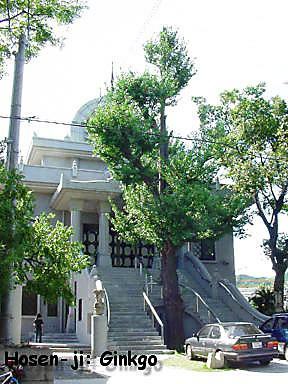 The Ginkgo situated near a temple about 1.1 km away from the blast center appeared to bud after the blast without any major deformations (the temple itself was destroyed). The temple-site in Housenbou was smaller after the war and they considered transplanting or cutting down the Ginkgo to rebuild the temple. In 1994 it was decided to leave it there and adjust the temple to it, so now the main building has stairs in front divided into left-and right hand sides, protecting the Ginkgo inside this U-shape. Engraved on it "No more Hiroshima" and people's prayers for peace. Six atomic bombed Ginkgo trees are still alive. Click here to see these trees. Dr. David Hosack, physician-botanist and founder of the former Elgin Botanic Garden in New York City, planted in the beginning of the 19th century a Ginkgo tree on his estate above the Hudson River in Hyde Park, New York.
" The tree itself has a very remarkable history. It is asserted by eminent horticulturists that it has been found wild nowhere on the earth, but it is cultivated largely both in China and Japan, where it is usually found near the temples and similar religious structures. One tree was still alive in 1981 but has since been cut down. Photo courtesy Peter Del Tredici. (from Del Tredici P, 1981, 'The Ginkgo in America', Arnoldia 41) " The first specimen received in this country was presented by William Hamilton, the former owner of the beautiful grounds in which the celebrated explorer, Pursh, was gardener at what is now known as Woodlands Cemetery. This particular tree is still regarded as one of Philadelphia's arboreal treasures, and tree lovers from distant parts of the globe, when in this city, Journey to the cemetery expressly to see this magnificent specimen.
" When the original tree that was imported from Japan flowered it was found to have male flowers only, and consequently all trees propagated by cuttings were male also. The tree in Woodlands is a male tree. It has only been a comparatively few years since seeds have been introduced from China or Japan, and among these young seedlings, plants with female flowers were found. This tree of Mr. Wister's happens to be female, and now that it has come of age it produces fruit. Numerous seedling trees have been distributed over different parts of the United States, and it is expected that others will reach the fruiting stage before many years. There is a magnificent avenue of Ginkgo trees on the grounds of the Agricultural Department at Washington, the trees having been sent there from Pennsylvania nurseries after Mr. Charles J. Wister.
" The fruit itself is about the size of a large cherry, and is of a greenish-yellow color when ripe. Like the cherry, it has a fleshy pulp with a single stone or seed in the interior. To most persons the odor of the fruit is very disagreeable, but the fruit plays a very important part in Chinese gastronomic arts. The grand dinners of the Chinese usually last all day, and every help to digestion is needed in order that the guests may experience the fullest enjoyment. The fruit of the Ginkgo is the chief element in promoting this desirable result. They are first slightly roasted, and then placed in small plates by the side of the guests, who every now and then take one between courses, as an American or Englishman would an olive. Mr. Wister states that the odor of the fruit of his tree is very disagreeable, and those who have handled the fruit can scarcely credit its use as described by the Celestials. The Bartram Ginkgo, presumbly a sibling of Hamilton's tree, is now the oldest in North America, planted about 1785. Photo courtesy the John Bartram Association.
" The paleontologists and evolutionists are also much interested in the Ginkgo although, as already stated, no wild localities are known where the trees grow, it has been discovered by its fossil remains to have been once widely scattered over the face of the globe. It is probable that it is only through its having commended itself by its beauty and other good qualities to the Chinese and Japanese gardeners, that it has been able to survive those geological cataclysms under which the old race has been cleared away from the surface of the earth. It is classed with the coniferous trees, notwithstanding its fern-like foliage, its closest relation being the yew family; but as there is nothing very closely resembling it, the paleontologists believe that an immense number of what have been is wholly swept away."